Ellen Jovin, an English language fanatic, was sitting in her New York apartment this summer feeling like it was too hot to do anything fun outside. 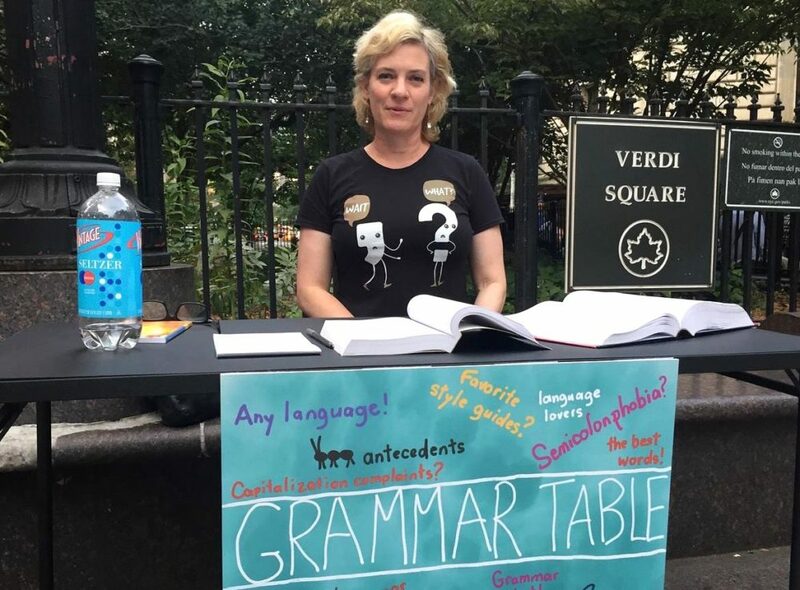 So, she came up with an idea: a grammar table — somewhere she could dissect grammar for anyone walking by. "I ordered a table and then designed a sign, and then I waited for it to get cooler. That's really about it. It just seemed like a good idea," says Jovin, whose day job is at Syntaxis, a communication skills training firm she co-founded with her husband that's based in Manhattan. Since then, Jovin, who sets up her table in the middle of the city every week, has helped a wide variety of people — from a young girl from El Salvador writing a college application essay, to a woman angered by others' use of the word "none." 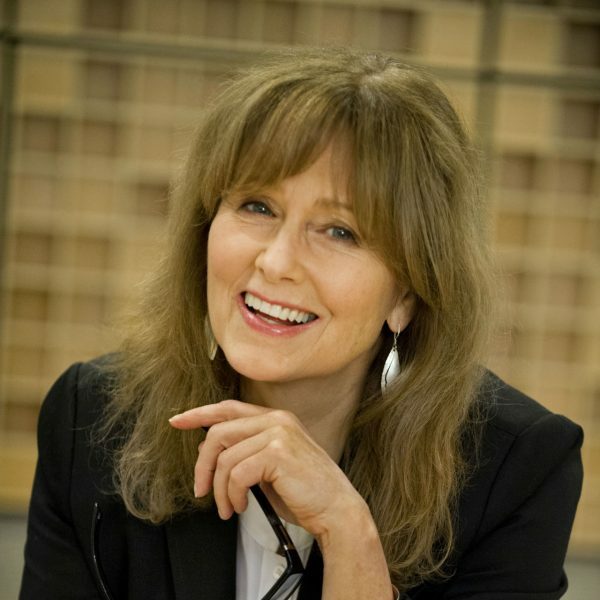 "I get a lot of sincere questions," she tells Here & Now’s Robin Young. "People come up, and sometimes they won't even say hello. ... I think it's funny. I love it. But they just walk up, and they'll say, 'Is there an apostrophe in this word?' As though it's perfectly normal to see a grammar table on every block." Above all, though, Jovin wants people to know her grammar table is a friendly one — and there are no grammar police. "I'm not there to make people feel bad. I'm not there to be pedantic," say Jovin (@EllenJovin). "I really want to engage people in a conversation about language and also to learn from them, because there are 800 languages in New York City, so I figure there's a lot of language stuff I can learn from them." "My sign says a lot of things. It says, 'grammar table,' but then I also drew the sign on an iPad, and I also added ideas for things people could talk about. So for instance, it says, 'comma crisis' [and] 'semicolon phobia' for people who are afraid of semicolons. Sometimes people who don't know what they're supposed to talk about at a grammar table — not that there's a prescription for it — but it maybe gives them ideas about what they could bring up." "The Upper West Side is just full of people who are just complete word nuts or word nerds. They love grammar, they love language ... and they just are happy to have someone else caring about it." "I also get a ton of questions from people who have been perplexed by something for ages and didn't know how to look it up. They often concern commas, apostrophes, odd plural forms, maybe the past participle of an irregular verb." "Of course they do, and usually the people who come to trip me up are male. … I really try not to use that word [mansplaining], but I get quizzed more by guys. "Let's see, over the weekend, someone came up to me and said, 'What's an appositive?' ... And so I started to answer and I paused and I said, 'Do you really want to know the answer to this, or are you just seeing if I know?' And he said, 'Just seeing if you know.' So they usually admit it. Some other guy came by a few weeks ago and said, 'What's the difference between a restrictive relative clause and a nonrestrictive relative clause?' Same thing. That makes me suspicious." "An appositive is, for example, if I said, 'My neighbor, a carpenter, makes a lot of noise,' the carpenter is an appositive. It renames the neighbor. A noun phrase or a noun that is a renaming of one usually before it, and then often you have to decide if it needs commas or not, so that's a whole other thing. "A relative clause is a group of words containing a subject and a verb, and it begins with words like 'that,' 'which,' 'who,' and sometimes it limits the noun in front of it, and sometimes it just describes it without limiting. For example: 'I threw away the books that were dusty.' That clause, 'that were dusty,' is limiting. That's a restrictive relative clause. You didn't throw away all the books. You kept the non-dusty ones. I mean, a sane person would just dust all the books, but whatever. But, 'I threw away the books, which were dusty,' [or] 'You threw away all the books, and oh by the way, they just happened to be dusty,' that's a non-restrictive relative clause." "Sometimes people ask me questions from 10 feet away, like they're afraid I'm going to give them a quiz and then mark it with a red pen and send it to their boss or something. I want it to be a friendly grammar table." "I just really, really love language, and until September, I was spending so much time posting language thoughts online. I have a whole global network of language nerds who love to talk about language with one another, and so I post things. When I come across something interesting, I post it and then we talk about online. But too much computer time makes you weird, and I thought I can do the same thing on the streets of New York, and that's what I did." "It's interesting because she wanted to know the difference between passive and active voice. That was her primary question. I tried to explain it to her, and then I realized OK we really need to have the essay, because sometimes students don't report with 100 percent accuracy what's really being told to them about their writing weaknesses, so I wanted to see. And when she brought it, in fact, there was very little content. So I ended up talking to her about how to generate more content, what would be interesting about her life and what she needed to understand that I didn't know about her so she could explain it in more details." 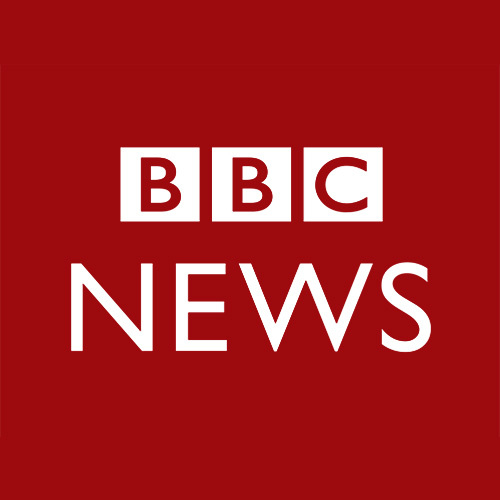 Marcelle Hutchins produced and edited this interview for broadcast. Jackson Cote adapted it for the web.